1989 was a very important year that I proved distant chi transmission was real. But the most important event of the year was the birth of my youngest child, Wong Chun Yian (黄俊贤), who brought love and happiness to the family. “Chun Yian” means “Handsome and Wise”. 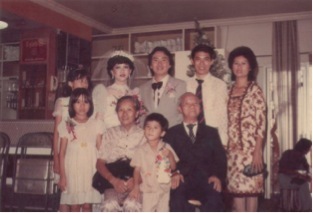 I honestly believe that my youngest daughter, Wong Siew Foong born in 1987, and my youngest son, Wong Chun Yian, born in 1989, were our children sent to my wife and me from the Divine for the good deeds we had done. 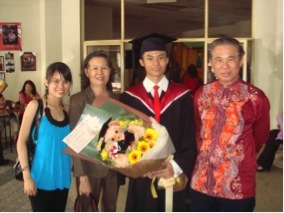 They brought to our family, including my parents and my three elder children, a lot of joy and love. We did not hope for any rewards when we were blessed to perform some good deeds, but it is a universal truth that goodness always brings goodness. I dearly remember my mother telling me once that it is a greater blessing to give than to receive. Indeed, we are very blessed. 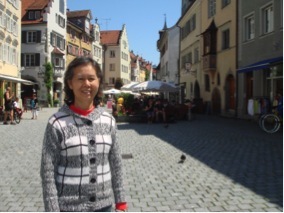 When my wife was carrying Chun Yian, she was a bit apprehensive because she was already over forty years of age. It was said that women giving birth after forty may result in children who were not so intelligent. But Chun Yian, I believe, is a divine-sent child, and he was, and still is, very intelligent. When my wife and I took our two youngest children for car rides, which we often did, and our other three elder children were at an age when they would prefer to spend time with their friends, Chun Yian would compose songs of his own which he would sing to entertain us. Sometimes, he would compose words for our private use. For example, instead of saying, “Please pass me some tissue paper to wipe my hands”, he would say, “Please pass me some ti-boys”. “Why do you call tissue paper ti-boys?” Once I asked him. “Ti is a short form for tissue. As the tissue paper is small, I call it ti-boy,” he explained. We certainly had a lot of fun. I attributed his high intelligence to his practice of chi kung, but he attributed it to his secretion of “brain-juice” by sleeping before ten o’clock every night. So, while other parents might have difficulty coaxing their children to go to bed early, my wife and I did not have this problem with Chun Yian. This entry was posted in autobiography, Bestseller, Books, Grandmaster Wong Kiew Kit, Shaolin Wahnam, The Way of the Master and tagged autobiography, Bestseller, Books, chi kung, family, fatherhood, good father and husband, Grandmaster Wong Kiew Kit, Kung Fu, Shaolin Wahnam, Stories, Ten Shaolin Laws, Way of the Master on October 3, 2017 by Wei Joo Lee. 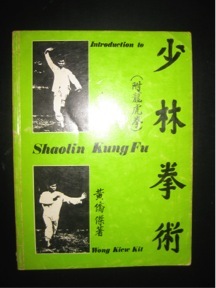 Most of the kungfu books in English I found only described kungfu forms. They lacked depth. Douglas, my most senior student from Europe, once told me that when one opened a kungfu book written in English, he would find pictures showing how to perform kungfu sets from the first page to the last page of the book. In the many kungfu books I wrote, I attempted to overcome this common problem. My student, Kai (Sifu Kai Uwe Jettkandt), who was already an international free sparring champion before he learned from me, and is the Chief Instructor of Shaolin Wahnam Germany, told me that he was surprised at the secrets I revealed in my first kungfu book, “Introduction to Shaolin Kungfu”. In writing my books, I consciously aimed at two accomplishments. One, I wanted my books to be readable. I was inspired by reading an editor who said that she had no interest in the topic of a book she was reviewing but it was so well-written that she couldn’t put it down. One important factor that makes a book readable is clarity. An author presents his materials clearly that readers can understand it. Many books are boring because readers do not know what the authors are saying. Sometimes, the authors themselves do not know what they say. Another important factor is pleasure. Readers will enjoy reading a book if there is humour. The book is also a pleasure to read when the reading materials are presented from a fresh, and sometimes surprising, perspective. The second aim I wished to accomplish when writing my books, besides readability, was that readers must gain benefits from reading them. Many readers kindly told me that they had gained from my books more than they ever thought possible from the arts they were pursuing. Some, who had not pursued the arts before, told me they had been inspired to start practising the arts. 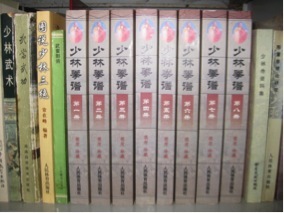 For example, readers can benefit from the beginning of this chapter, knowing the difficulties involved in reading kungfu and chi kung classics, or by extension any classics. Those who practise any form of force training, even from living instructors, will benefit knowing that preparation and remedial work are necessary. Indeed, a lot of martial artists today have harmed themselves because they have not prepared themselves well for their training, and they do not have remedial treatment for the injuries they unwittingly, and sometimes even knowingly, sustain. An obvious example is free sparring. Many martial artists have not learned how to spar. They just go into free sparring straightaway and hurt themselves and their sparring partners. They also routinely leave their injuries unattended to, bringing insidious harm to their health and vitality. 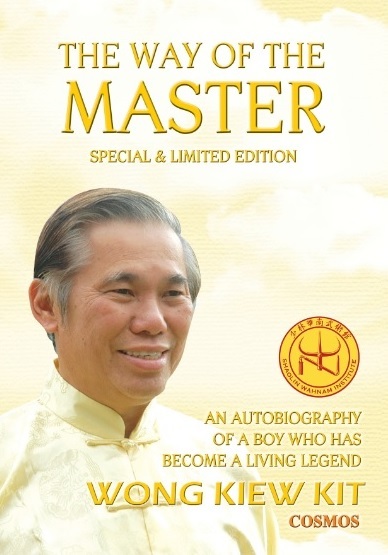 This entry was posted in autobiography, Bestseller, Books, Grandmaster Wong Kiew Kit, Shaolin Wahnam, The Way of the Master and tagged authorship, autobiography, Bestseller, Books, Grandmaster Wong Kiew Kit, Shaolin Wahnam, Stories, Way of the Master, writing on September 26, 2017 by Wei Joo Lee. Back in Italy in Attilio’s hotel after some chi kung courses, Pio, an elderly aristocrat who has attended all my chi kung courses in Finale Ligure every year, invited me and Attilio to his huge mansion in the countryside near Siena. Every Italian would say Italian ice-cream was the best, I thought to myself. Attilio and I went to San Gimignano to wait for Pio to take us to his mansion. San Gimignano was a pretty ancient town with two famous ice-cream parlours reputed to sell the best ice-cream in the world. We sat waiting for Pio at an old village well at the centre of the village square. Attilio was pacing up and down, deep in thoughts. Then he turned to me. “That’s an excellent idea,” I told Attilio. Attilio got me and himself a cone each with three gigantic scoops of ice-cream. I had eaten a lot of ice-cream all over the world coming in different containers, from sticks and cones to cups and boxes. But this was really the best ice-cream I had taken, without any doubt it was more delicious than any other by a big margin. I really enjoyed every lick of it. After finishing the delicious ice-cream, we waited and waited, but Pio did not turn up. Attilio was again pacing about at the village well, deep in thoughts. Again, Attilio got me and himself each another three gigantic scoops of ice-cream, and we slowly enjoyed every lick of them. “Yes, you’re perfectly right! We should have a third helping,” I quickly added. 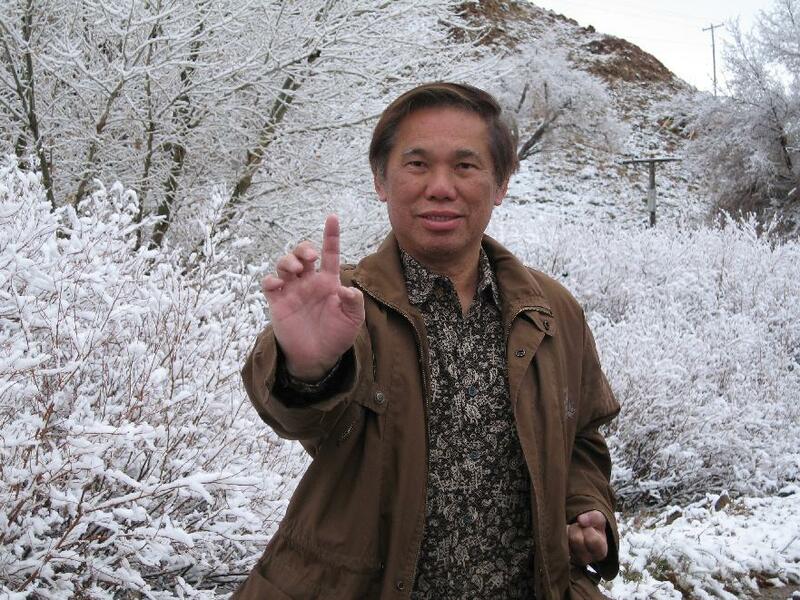 This entry was posted in autobiography, Bestseller, Books, Grandmaster Wong Kiew Kit, Shaolin Wahnam, The Way of the Master and tagged autobiography, Bestseller, Books, Grandmaster Wong Kiew Kit, ice cream, italy, Shaolin Wahnam, Sifu Attilio Podesta, Stories, Way of the Master on July 18, 2017 by Wei Joo Lee. I will be taking part of the next Intensive Taijiquan Course in Sabah. It is the course I have been waiting for since I asked to be accepted as a student in 2009. The Intensive Taijiquan Course in Sabah from 25th to 31st March 2016 is excellent for you. It is a course that you must not miss. You will find that not only your martial art will be brought to a new wonderful level, but more importantly your life will be a joy everyday. It is indeed difficult for those doing Taiji dance to realize what they have missed in daily life. You were already an international sparring champion. But when you apply Taijiquan on your opponents, who may be half or one-third your age, you will find them like children!. There is simply nowhere your opponents can counter your attack. I mentioned this before a few times, and I also realized that some people thought I was boastful, though I never meant to be, but I am merely stating the truth. But, of course, another truth is that very, very few Taiji practitioners today, including many so-called masters, know Taijiquan combat. But Taijiquan combat is easy for you; you only have to change your Taekwondo techniques into Taijiquan techniques in sparring. Yet, the best benefit of the Intensive Taijiquan Course is not combat efficiency. Combat efficiency is secondary, only a bonus, something some course participants may not even pay much attention to. One of the greatest benefits of the course is that you will be healthy, fit, fast and powerful, physically and mentally, even beyond 70. I am happy I can speak from personal experience. I remember very well your advice then. It was during a Sinew Metamorphosis course in Las Vegas. I asked what to do in order to improve my Taiji dance, though I was not fully aware I was doing Taiji dancing at that time, but I could sense something wasn’t right. Your advice was to incorporate what I had learned during the course with my Taiji practice — to enter the qigong state of mind, generate qi flow and perform my sets in qi flow. As expected my practice became alive!. I am very excited that I will finally be able to take part in an Intensive Taijiquan Course. What you have done with your qigong training on Taijiquan, before you attend the Intensive Taijiquan Course, is excellent. For those who have been doing Taiji dance and may not have the opportunity to attend an Intensive Taijiquan Course but have the opportunity to learn qigong from us, should follow you example and draw inspiration from your results. When they perform their Taiji dance, they should enter into a qigong state of mind, generate a qi flow and perform their Taiji sets in qi flow. Their Taiji dance will come alive, it will become an internal art, no more just an external dance-like form. But for the martial aspect of Taijiquan, they have to learn from our Taijiquan instructors or attend my Intensive Taijiquan Course. 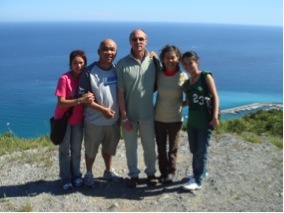 We are incredibly generous with our Intensive Taijiquan Course. 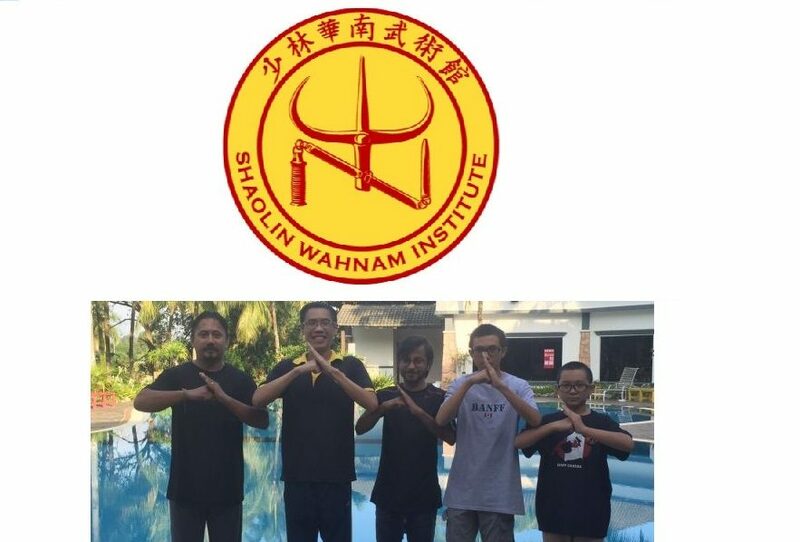 Even those who are not our Shaolin Wahnam students but have practiced Taiji dance for some time, can still join our course. They have heard that by practicing genuine Taijiquan they can be fit and healthy as well as combat efficient even at old age. But if they do not believe in our claims, that is their business, not ours. In fact, I am now thinking of offering the Intensive Taijiquan Course as well as the Intensive Shaolin Kungfu Course only to our Family members, and not open to the public. We need not be generous to the point of casing pearls before swines. I experienced some breakthroughs performing the 24-Pattern Set, which I had been practicing following your first advice. But since I was able to finally perform Dragon Strength Circulation Chi Set completely, I feel that the rest of my training had gone to a complete new dimension. The Dragon Strength Circulation Chi Set is incredible, It is the pinnacle of my kiungfu development. Having attended the course, you will enhance whatever kungfu you practice, as well as whatever you do in your daily life. You are preparing very well for the Intensive Taijiquan Course. 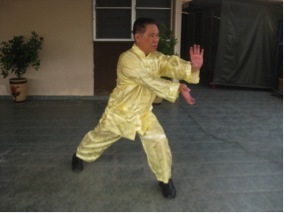 You already have much internal force from your qigong training, but at the course we shall further learn the skills and techniques of developing internal force using Taijiquan methods. Most Taiji dancers have the techniques, but they don’t have the skills, and they don’t realize it. Would now be a good time to ask what discoveries and ‘ah ha’ moments you have experienced while composing the San Feng Wudang Set? Editorial Note: This question was asked before the UK Simmer Camp 2015, but because of a long waiting list the answer is released here only now. The discoveries and aha experiences occurred mostly not during the composition of the San Feng Wudang Set, not even during the reconstruction of Wudang Taijiquan from which the San Feng Set derived, but from the time I first practiced Taijiquan. When I composed the San Feng Wudang Set, it was mainly shortening Wudang Taijiquan to a manageable length, while maintaining the spirit, principles and benefits of Wudang Taijiquan. When I reconstructed Wudang Taijiquan from classical sources, I already have practiced and benefited from Taijiquan for quite some time. But what struck me impressively was that the Wudang Taijiquan Set was more like a Shaolin set than what many Taijiquan practitioners conceptualized Taijiquan to be. Even the patterns from the Wudang Taijiquan Set were like Shaolin patterns, and their names were poetic like Shaolin pattern names, and not technical like many Yang Style Taijiquan patterns and some Chen Style Taijiquan patterns. There were many discoveries and aha experiences when I first practiced Taijiquan, which was Yang Style Taijiquan at that time. I discovered that if I performed a Taijiquan set fast, it looked like Shaolin Kungfu, and if I performed a Shaolin set slowly it looked like Taijiquan. Even at this early age I knew that Taijiquan had to be performed fast if it had to be used for combat. This was not a problem for me, I just performed it like Shaolin Kungfu. 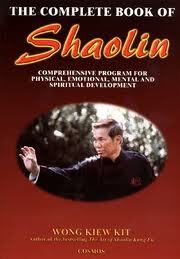 I was able to apply all Taijiquan patterns for combat because of my training in Shaolin combat application. This was quite an aha experience as most Taijiquan practitioners did not know the martial aspect of Taijiquan. I was quite good at Taijiquan but did not teach it despite many requests. I considered my best to be Shaolin Kungfu, and I wanted to teach my best. It was Rama who rightly commented to me that although my best was Shaolin Kungfu, many people preferred Taijiquan for some legitimate reasons, and it would be a great pity if I did not teach them, that I changed my mind. 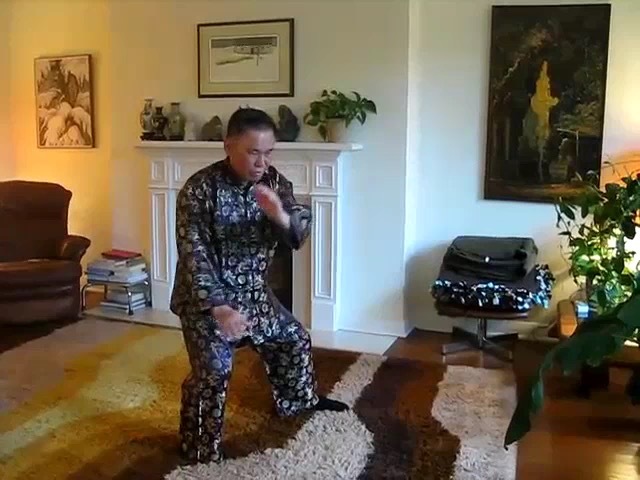 When I taught in Australia in the 1980s, before my regular travels to teach in the West in the 1990s, Ken, a Taijiquan instructor in Bendigo, requested me to show him some Taijiquan. I taught him how to develop internal force using Lifting Water. Not only he could develop internal force in just that session when he only heard about internal force before that, I myself was amazed at the tremendous amount of internal force I developed after lifting my arms only a few times. With hindsight I later realized that I entered in a deep chi kung state of mind, and I also led Ken into a chi kung state of mind. I concluded that if I used the same methods but different Taijiquan patterns, I could also develop internal force. This was a discovery and aha experience. If a practitioner performs his Taijiquan set or part of it slowly and gracefully, without intellectualizing and without tensing his muscles, he could develop internal force without having to perform other internal force training methods. It also led to my discovery and aha experience that Taijiquan itself was chi kung, and that it was unnecessary to incorporate other chi kung methods from elsewhere, like Lifting the Sky and Carrying the Moon from Eighteen Lohan Hands, into Taijiquan to develop internal force. This discovery had far-reaching effects, and later contributed to the flow method and the otherwise ridiculous concept that making any movements, including comical or odd movements, in a chi kung state of mind, we could generate a chi flow or develop internal force! This was indeed amazing, considering that many masters had spent years chasing after internal force but to no avail. I also discovered and had aha experiences how Taijiquan could enrich Shaolin Kungfu. If a student was rigid in his movement, by practicing his Shaolin sequences as if he was perfroming Taijiquan, he could not only overcome his rigid problem but make his movements flowing. I discovered two important reasons why a small-sized Taijiquan exponent could defeat a bigger-sized opponent. One reason was internal force. The other reason was Taijiquan mechanics, and the core of Taijiquan mechanics was waist rotation. By rotating the waist, many Shaolin techniques that were otherwise difficult to perform, became easy. Waist rotation led to fa-jing, or exploding force. The Taijiquan principle of “starting from the back leg, rotating the waist and ending at the hand” became very useful. By applying the principle of rotating the waist, I could help Shaolin students not only to explode spiral force in “Black tiger Steals Heart”, but make their palm strikes powerful, realizing the Shaolin principle that the palm was more powerful than the fist. Waist rotation and exploding force were also found in Shaolin Kungfu, but were emphasized in Taijiquan. My discoveries and aha experiences in Taijiquan enriched my practice and teaching of Shaolin Kungfu. Can we apply this positive attitude in our everyday life even when situations are negative? Yes, we can. There are countless attitude one can adopt in any situation, but all these attitudes can be divided into two broad categories, the negative way which most people adopt, and the positive way which is the Shaolin Wahnam way. This positive attitude, or the Shaolin Wahnam way, can be applied to all situations, including negative situations. Suppose a person is very sick and he consults a doctor. After examining the patient, the doctor can adopt a negative attitude, like telling the patient that he is going to die, or adopt a positive attitude, telling the patient that he has a chance to recover. It is important to note that in both cases the doctor is not telling a lie. The patient will die one day, regardless of whether it will happen in a few months’ time or after fifty years. It is also possible that the patient will recover even when he suffers form a so-called incurable disease. The doctor’s attitude is very important, not only to the patient but also to himself. Whether his attitude is negative or positive will not change the present reality; irrespective of what the doctor thinks, the patient is still sick with a serious illness. But it will greatly affect how the future will unfold. It will not only bring grief or joy to the patient, but also affect what his treatment will be like. The patient’s reaction can also be negative or positive irrespective of other people’s opinion. If the doctor told hem that he would die, he could reply that the doctor was wrong and he would live. If the doctor told him that he had a chance to recover, he could say that it was not just a chance but he would certainly recover, and return to thank the doctor with a bunch of flowers. What is the most important character trait for a Shaolin practitioner to have to take his art to the highest level? The main character trait for a Shaolin practitioner to have to take his art to the highest level is gratitude. This may be a surprise to some people who may think it is determination or intelligence or something else, but from my many years of experience both as a student and a teacher, it is gratitude. In fact, gratitude is needed at all levels. At a beginning level, a student needs to have gratitude to learn effectively from his teacher If he lacks gratitude, like if he practices according to what he thinks is correct and not according to what his teacher asks him to do, which many students do often without their realizing, he will miss the essence of the art right at the beginning. If a student lacks gratitude at the intermediate level, he will not progress to the advanced level. Compared to other students he may have accomplished much, especially when kungfu and chi kung today have degraded beyond recognition. where students hurt themselves with free exchange of blows instead of learning to defend themselves in kungfu, or perform outward forms as gentle exercise without any experience of energy flow in chi kung. But he will be stagnant at this level. But if he is grateful that he has an opportunity to learn an esoteric art, he will follow his master’s teaching and progress. It is often at the advanced level where students would one day become masters themselves that these students fail. As they have attained abilities not available to most other practitioners, they become disrespectful and arrogant, thinking that there is no much they can get from their masters. If they have gratitude, they can overcome this hurdle. As they are arrogant they will also not benefit from other masters or other sources. Besides the books you have written, what other books you would recommend? I read many books in my younger days, especially when I was at university, ranging from science to religion, from literature to medicine, and many of them were wonderful. I would mention a few that come readily to mind. Most of which were published many years ago. I also read many kungfu and other martial art books in English, but generally I was not impressed except Tai Chi Chin Na by Dr Yang Jwing Ming which was outstandinig. The classic that has a great impact on my spiritual cultivation is “Awakening of Faith in Mahayana”, written by Asvaghosha in Sanskrit in the 2nd century Before the Common Era, and translated into Chinese by Paramartha in the 6th century of the Common Era. The Chinese text was very concise and short, but has very profound significance. It inspired me to write a long translation, interpretation and commentary of the work. The manuscript, written many years ago and entitled “In Quest of Cosmic Reality”, is still unpublished, but I consider it to be one of my best writings. Many people kindly wrote to tell me that they had enjoyed and benefitted much from my published books, and some said that they had found my books the best they had read on the respective subjects. 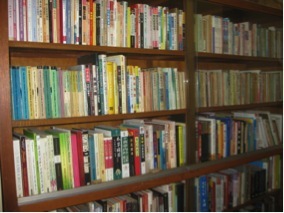 Of these books, the one I like best is my autobiography, “The Way of the Master”. It contains many interesting stories, and reveals many secrets. In writing these books, I ensured that even if readers were not interested in the subject matter, they would enjoy reading them. If you could choose one stance or move to train to the highest level, what would it be? If I would choose just one stance or move to train to the highest level, it would be “One-Finger Shooting Zen” in kungfu and “Lifting the Sky” in chi kung. “One-Finger Shooting Zen” provides tremendous internal force and mental clarity, which enhance not only all aspects of kungfu but also all aspects of daily life. The benefits of “Lifing the Sky” range from the very basic to the very advanced and everything in between. At the very basic level, “Lifting the Sky” enables a practitioner to be relaxed. At the most advanced level, it enables a practitioner to merge with Cosmic Reality, called variously as returning to God the Holy Spirit, attaining Enlightenment or merging with the Great Void. 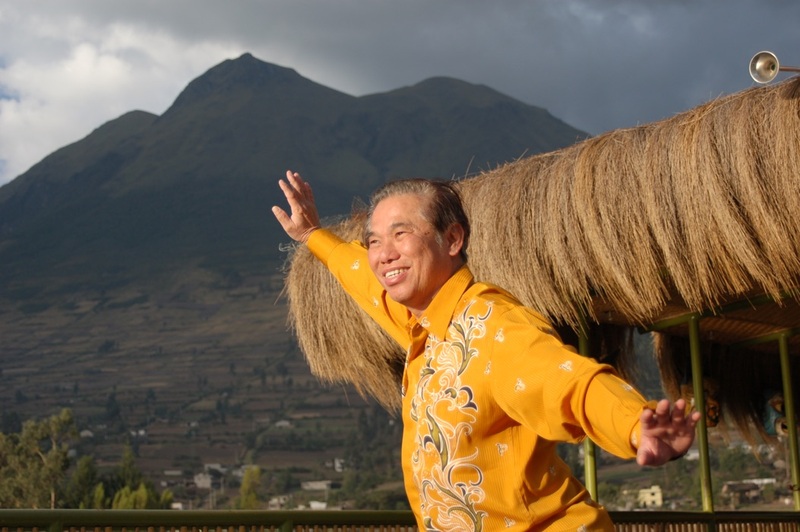 “Lifting the Sky” both circulates and builds energy, satisfying the two essential dimensions of all chi kung training. Of course, a practitioner must perform “One-Finger Shooting Zen” and “Lifting the Sky” correctly as internal arts. Unfortunately, most practitioners today perform “One-Finger Shooting Zen” as gymnastics and “Lifting the Sky” as gentle physical exercise, missing their essence and wonderful benefits. These two wonderful exercises have great sentimental values for me. 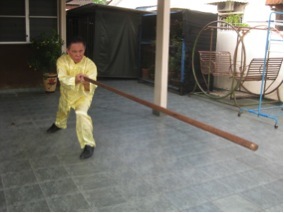 They were the first exercises I learned tom my sifu, Sifu Ho Fatt Nam. This entry was posted in Books, Chi Kung, Grandmaster Wong Kiew Kit, gratitude, Kung Fu, One-Finger Shooting Zen, qigong, question-answer, Shaolin, Shaolin Wahnam, tai chi chuan, taijiquan, The Way of the Master and tagged Books, chi kung, Grandmaster Wong Kiew Kit, gratitude, Kung Fu, One-Finger Shooting Zen, Qigong, QUESTIONANSWERS, Shaolin Wahnam, tai chi chuan, taijiquan, Way of the Master on April 11, 2017 by Wei Joo Lee. Many people were very kind to regard me as a kungfu genius. Only a few people knew that I was called a child prodigy long before that. 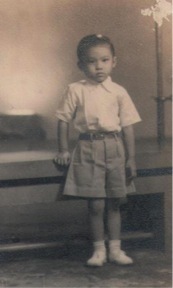 I knew how to read Chinese even at the age of three due to my father’s and mother’s informal coaching. One day, soon after my recovery from my long illness after falling into a huge monsoon drain, my parents took me to see my father’s friend who was a restaurant stall owner at the New Life Plaza at Cintra Street in Penang. The New Life Plaza has now given way to residential flats, but in the 1940s and 1950s, it was busy with hawker stalls. My father was talking with his friend who was chopping barbequed meat for his customers. I couldn’t recollect what their conversation was, but I could remember my father saying I could read Chinese, which is a formidable feat even for adult learners as the Chinese written language does not have an alphabet and readers have to recognise each one by itself of at least a few hundred characters. “What, a small boy of three can read Chinese!” The restaurant owner found it hard to believe. “Yes, that’s true,” my father replied. “Well, boy,” my father’s friend looked at me kindly. “Can you tell me these characters?” He pointed to a row of big Chinese characters on his signboard. “Yeit ting ho fan tim (一定好饭店).” I read each Chinese character loudly and slowly. They meant “Certainly-Good Restaurant”. He promptly cut a large piece of “char siew”, which literally means “fork-barbeque”, i.e. a piece of meat that was being forked to be barbequed, hanging in a showcase in front of his restaurant, and passed it to me. “Child prodigy, please enjoy this piece of char siew,” he graciously said. Years later, when I told my wife this old story, she went to town and on her return, she gave me a nice piece of barbequed meat. 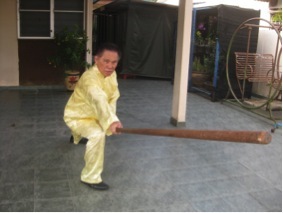 This entry was posted in autobiography, Bestseller, Books, Grandmaster Wong Kiew Kit, Shaolin Wahnam, The Way of the Master and tagged autobiography, Bestseller, Books, chi kung, family, Grandmaster Wong Kiew Kit, Kung Fu, Shaolin Wahnam, Stories, Way of the Master on December 20, 2016 by Wei Joo Lee. When I first learned the Horse-Riding Stance, it was at the form level. This is the normal introduction to kungfu for almost all kungfu practitioners. In other words, when people first start to learn kungfu, almost all of them would start with kungfu form. Only a few, because of various reasons, may start with skill, application or philosophy. If this person, unlike 90% of other people who may ask a similar question, practises the Three-Circle Stance every day for a year, he may have a quarter of the master’s vitality. In this case, this student starts his introduction to kungfu through skill, though he still needs form to develop his skill, and he may not realise that he is taught kungfu. Our Shaolin Wahnam students are an exception. When they start to learn kungfu or chi kung from us, they are introduced to all the four dimensions of form, skill, application and philosophy. When our students learn kungfu, they do not just learn the form, but also the skill of right spacing and right timing, applying the kungfu patterns for attack and defence, and how their kungfu training can enrich their daily life. When our students learn chi kung, they do not just learn the form, they also generate an energy flow, feel fresh and energetic, and know why chi flow contributes to their good health, vitality and longevity. Not only kungfu and chi kung, but all arts, ranging from the simple art of asking your secretary to write a letter to sending a ship into space, may be classified into the four dimensions of form, skill, application and philosophy. Understanding these four dimensions and putting them into practice will enhance any art we practise, and more significantly our daily life. Most kungfu practitioners focus only on form, neglecting the other three dimensions. If these four dimensions are of equal importance, they can at best have only 25% of the potential benefits. But in reality, these dimensions are not of equal importance. Form constitutes technique, and is generally less important than skill and application. Philosophy provides a map showing the routes and destinations. A salesperson earning $2000 a month and another earning $20,000 a month use the same form, or technique, but their skill level is vastly different. More important in making their life meaningful is how they apply their earning. Whether they use the $2000 or $20,000 for liquor and gambling, or for making their family happy depends much on their philosophy. Failing to differentiate between skill and technique is a main reason why most kungfu practitioners today cannot apply their kungfu for combat, and why many chi kung practitioners are not healthy and full of vitality. It is also a main reason why in my book, “The Complete Book of Tai Chi Chuan”, I mention that more than 90% of Tai Chi Chuan practitioners today are getting less than 10% of its potential benefits. While Shaolin Wahnam students have all the dimensions introduced to them when they first learn kungfu or chi kung, it took me more than 20 years since first learning kungfu to realise these dimensions. Considering that most kungfu and chi kung practitioners do not realise this useful classification at all, 20 years is a short time. This useful classification did not happen all at once. It was evolved, and it is rewarding to trace its evolution historically. This entry was posted in autobiography, Books, Grandmaster Wong Kiew Kit, Kung Fu, Shaolin, Shaolin Wahnam, stories, The Way of the Master and tagged application, autobiography, Books, form, four dimensions, Grandmaster Wong Kiew Kit, Kung Fu, philosophy, Shaolin, Shaolin Wahnam, skill, Stories, Way of the Master on June 21, 2016 by Wei Joo Lee.